Its time for some sunning stunning enjoyment! 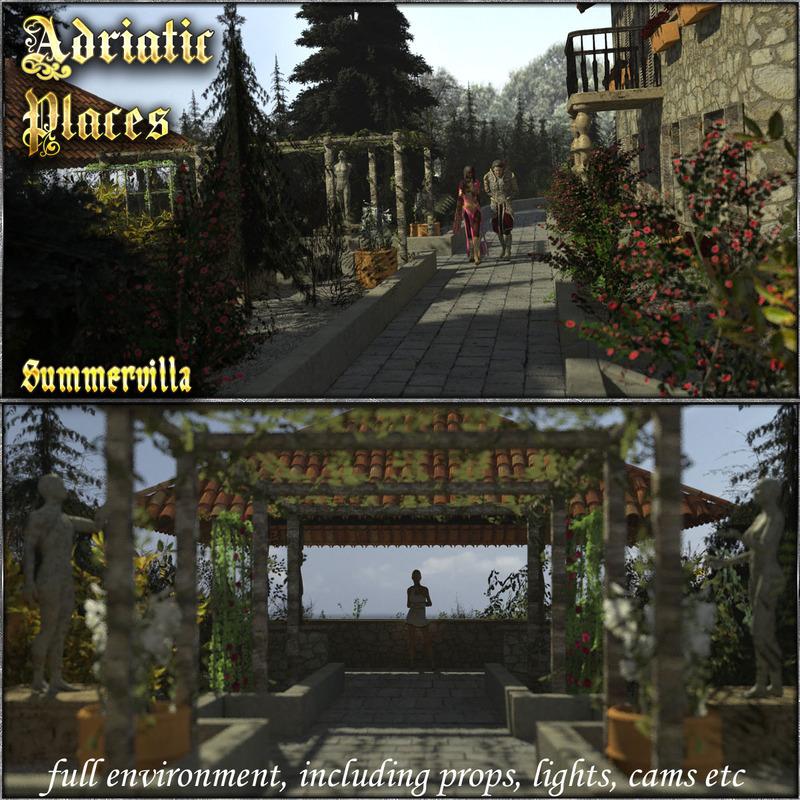 Here is our Nice Places – VIP Pool Area! Enjoy some time at the Pool with this set. An easy start for some really enjoyable times! Also visit our large freebie area! Rem. : Build for Poser, loads OK in D/S..
nowhere, a desert city makes has its own rules. Sandworld is a versatile set of a city in the desert. 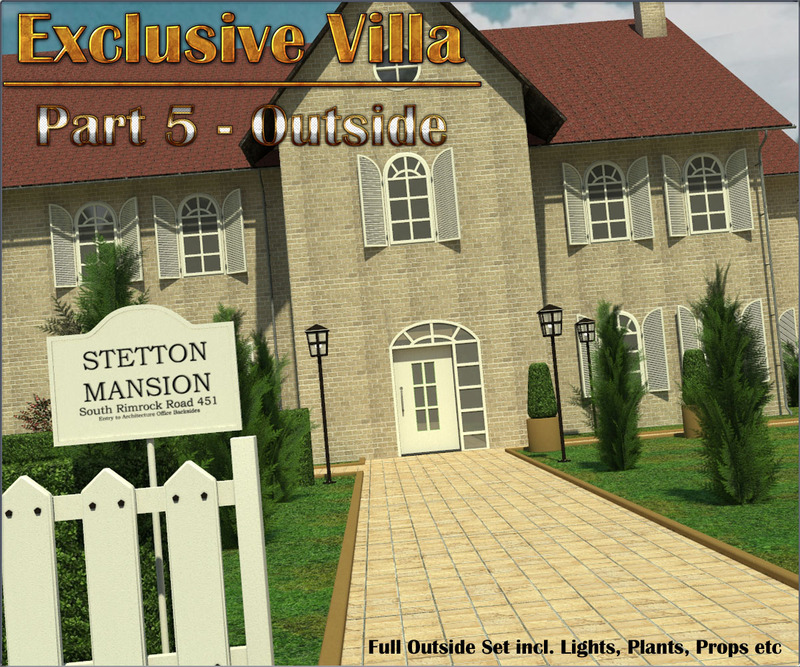 It comes as a set of four main house builds with various options to build together. Streetplanes, add on props, lights and mat sets, as well as a hemisphere for Day, Dawn and Night are included. All street planes come with injected morphs to make them “sandy”. Houses can open doors, lift blinds, enable or disable parts etc. Props have morphs to alter. Assembly made easy, using standard poser size units of 4 x 4. Included is a manual how to use this set. Masterdial in houses wont work below Poser 8 but can be moved manually.